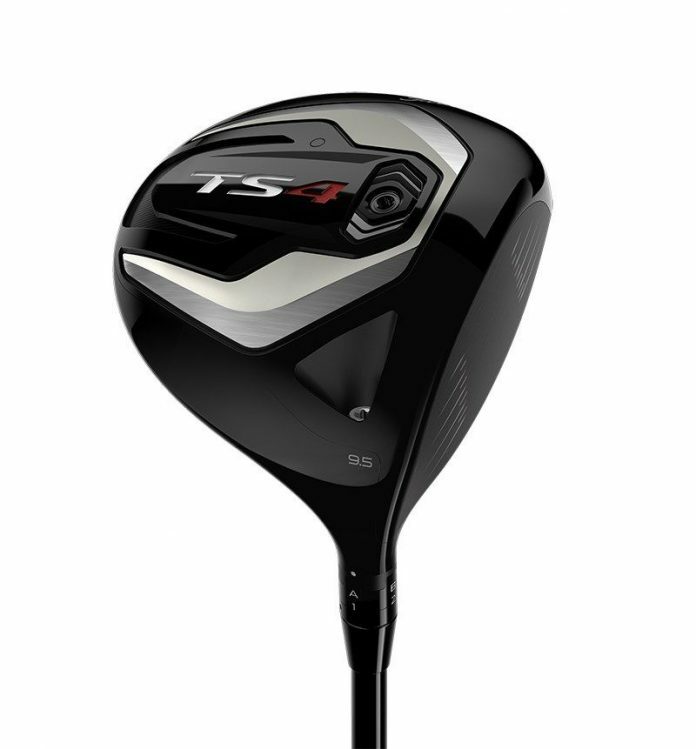 The new TS4 driver by Titleist claims to provide ultra-low spin performance and a slightly smaller shape, which makes the TS4 the third model within the Titleist TS driver range to be launched at a $500 per club price point. 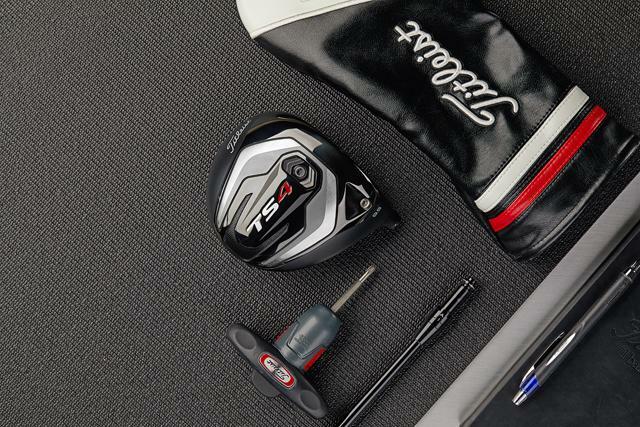 ORLANDO, Florida – Titleist’s line for the 2019 season, especially the TS2 and TS3 drivers, were products of the Titleist Speed project, an internal program to maximize ball speed. The new design has paid benefits making Titleist drivers the most played on the PGA Tour and helped to remove the “too short and too much spin” reputation of earlier models especially the 917D. Whether the feeling that Titleist couldn’t be competitive distance-wise with Callaway’s Epic/Rogue/Flash or TaylorMade’s M series drivers was fair or not, the TS2/TS3s have moved beyond that as a consideration. Last week they were joined with a model for better players who generate a lot of driver spin, the smaller clubhead low-spin TS4. So, what makes the TS4 able to make these claims? As with the TS2 and TS3 the crown is cast titanium and 20% thinner, i.e., 10 grams less, than the 917 models of two years ago and the TS4 face is the same as the TS2/TS3, a variable thickness design Titleist calls Radial VFT. On difference thought is the classic pear shape clubhead since it is only 430cc has less air resistance and can be swung faster. To get the lower spin numbers (Titleist says about 300 rpm less) and thus more distance the TS4 sole weight seen in the TS2 has been moved from the trailing part of the sole towards the front nearer the face. This moved the center of gravity forwards which produces a flatter, piercing trajectory. The tradeoff is this weight placement to produce the lower spin combined with the smaller clubhead means the TS4 is less forgiving, a critical factor for those whose swings have trouble getting impacts in the center of the face. The TS4 driver by Titleist, which debuted April 2 at the PGA Tour’s Valero Open and appears on the USGA’s list of conforming driver heads retails for $500. The TS4 like the other TS models comes with a stock shaft length of 45.5” and this is not the first time this approach of smaller head-weight forward has been used. Four years ago, Titleist brought out the 915D4 and TaylorMade just got approval by the USGA of a “Mini Driver” though from the scanty information available the clubhead looks to be less than 350cc. Titleist debuted the TS4 at the Valero Texas Open with two of the 44 players using Titleist drivers switching. $500 the same as the TS2 and TS3. In shops late June. Four aftermarket shaft choices: Even Flow T1100 White 65 (Low launch and spin), HZRDUS Smoke Black 60 (Low/mid launch and spin), TENSEI AV Series Blue 55 (Mid launch and spin) and KURO KAGE Black Dual Core 50 (High launch and moderate spin).